Dr. Buford is a board certified orthopedic surgeon who has been in practice for 18 years after completing a sports medicine fellowship at the Southern California Orthopedic Institute (SCOI). He specializes in arthroscopic shoulder and knee surgery. He lectures nationally and internationally on arthroscopic shoulder surgery and orthobiologic topics and has published articles and book chapters on shoulder surgery and orthobiologics. 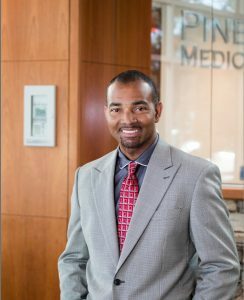 Dr. Buford founded the Dallas PRP and Stem Cell Institute (dallasprpandstemcell.com) to provide patients with cutting edge PRP and stem cell options for arthritis, back pain, sports injuries, and other musculoskeletal conditions. He continues work with other clinicians to refine the indications and treatment standards for using orthobiologics in musculoskeletal conditions. For the latest news and announcements follow the Orthopaedic Summit social media pages. Please click here if you need to reset your password.